It is just about 2.75″ long. 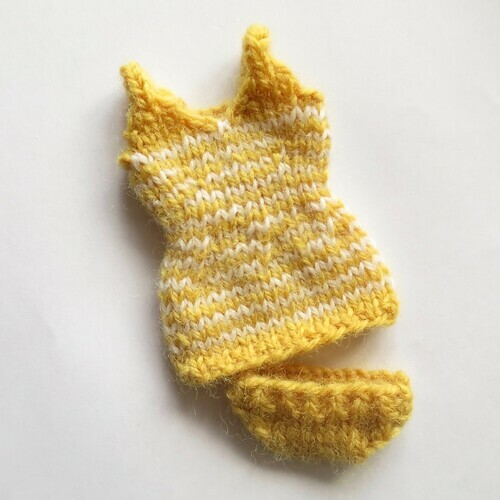 I’ve been thinking it might be fun to knit up a garland of knit retro swimsuits as a summer decoration and this was a good chance to give one a go. I’ll sew it together like this to hang. 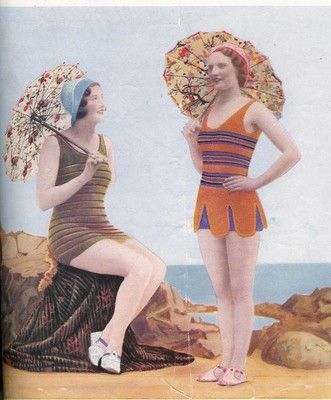 The green and red swimsuit in this picture was my inspiration. This was a quick, one afternoon knit and a fun challenge to figure out the shaping. I’m looking forward to trying my hand a a few more. 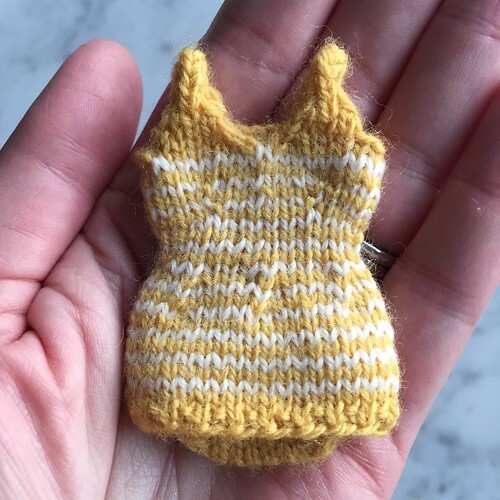 3 years ago by Kat in Challenges , Iron Craft , Knitting , Needlecraft | You can follow any responses to this entry through the RSS feed. You can leave a response, or trackback from your own site. Actually, I don’t think this would really fit a Barbie, it is a little too small I’m afraid. A garland of these sounds adorable!